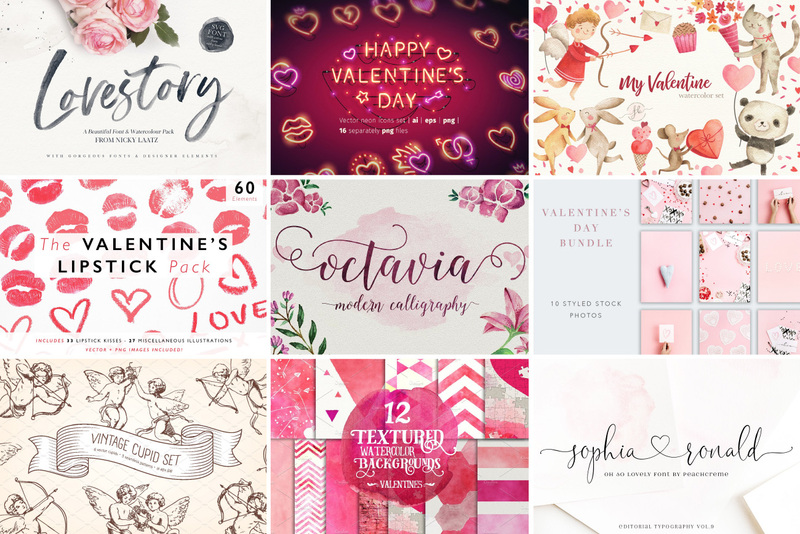 Valentine’s Day Design Assets From Creative Market That Will Up Your Marketing Game! With Valentine’s Day only a month away, it’s time to start creating your eye-catching marketing material! To help you with this, we’ve put together a collection of perfectly romantic and playful design assets from Creative Market that were created by artists from all over the globe. From romantic calligraphy fonts to gorgeous flat lay stock photography, Creative Market has your holiday content creation covered! Click on the collection to get inspired for the upcoming day of love! Need a hand with creating your visual content? We can help! Check out our graphic work on our graphic design & branding page or take a look at our content creation page to learn more about custom photography for your brand.